Sound Traveler is a music & travel platform created by Mike Polarny. The goal is to present and support local artists while bringing extraordinary experience to the world. Our focus today is on Cuba & Caribbean. We create music and stories with instrumentalists and singers. We share original songs from local musicians, create new cross-genre projects, publish remixes from local & international producers. Our record label is distributed globally to all digital platforms. Our tours bring people together through music & art. We connect travelers with local cultures by creating unique, off-the-beaten-track experiences. Small groups of like-minded people enjoy activities that involve music, culture, nature and spirituality. With us you travel like a local, in a joyful and mindful way. We believe our world needs an exchange between the Western world and the developing countries. We all need each other for inspiration, life balance, financial support, personal connection and more. We declare 5% of our revenues on tours into creation of music and visual content with local communities: licensing new music, hiring local instrumentalists and singers, hiring recording studios and sound engineers, collaborating with filmmakers, photographers and graphics designers. Join us, be the change in the world! Mike Polarny is a music producer, DJ, traveler, entrepreneur. Originally from Poland, he creates music with instrumentalists and singers in Cuba and Caribbean. 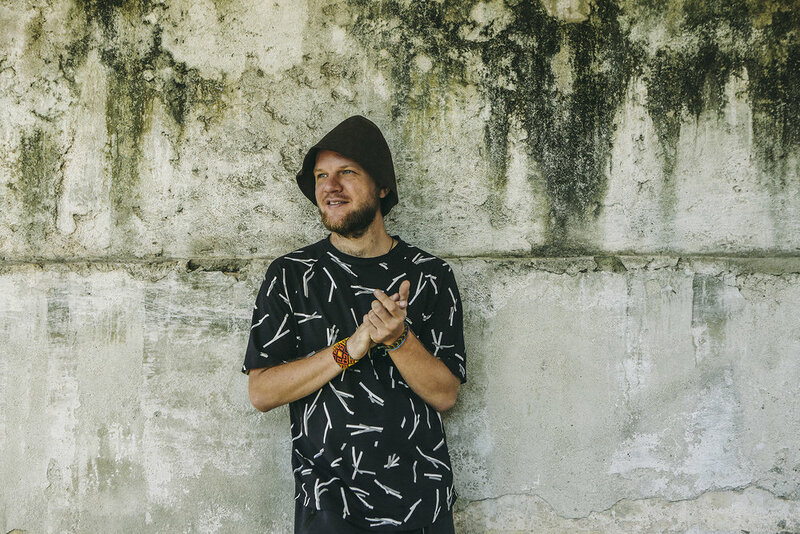 His song „Trip To Cuba” won the Ninja Tune Records and Dubspot New York contest in 2014. As a DJ he creates hypnotising journeys blending electronic music with global sounds from variety of cultures. After becoming a laureate at the first Polish national DJ contest in 2001 he shared stages with Dixon, Coldcut, The Orb, Digitalism, AtJazz, James Blake, Groove Armada, Jose Gonzales, Daniel Bell, Jazzanova and many more. He performed at Burning Man (Robot Heart, Junxion, Shamandome) and at movement meditation sessions in Europe, U.S. and Latin America (Ecstatic Dance, 5Rhythms, Daybreaker, The Get Down). He was a resident DJ for T-Mobile Electronic Beats, the „Newcomer of the Month” on the legendary Austrian FM4 radio. He plays for Polish embassies around the world. He traveled to fifty five countries on six continents while performing DJ gigs and running digital nomad’s life. As a snowboard instructor he organised dozens of ski/snowboard camps in European Alps. With a master degree in marketing & management he provided creative services to brands like Sheraton, Sony, HBO, Milka, Quiksilver, Ballantines, British Council and many more. With all those skills, knowledge and experience, he today brings people to Cuba & Panama and collaborates with other music & travel partners. Mike Polarny draws inspiration from a diversity of sources: dance meditations, shamanic ceremonies, breathing exercises, life coaching sessions. He shares his knowledge with like-minded people through music and tours. He explores his own and other people’s comfort zones on a dance floor, during travels and in life. He believes in running a purpose-driven life, sharing sincere happiness and being a service to others.